Diagrams presented at a meeting on Sept. 22. It shows where the new pedestrian/bike bridge will be built. Phase One of a plan to build a foot bridge over the Saluda River has closed. The bridge will run across the Saluda River in West Columbia, under the I-26 bridge. 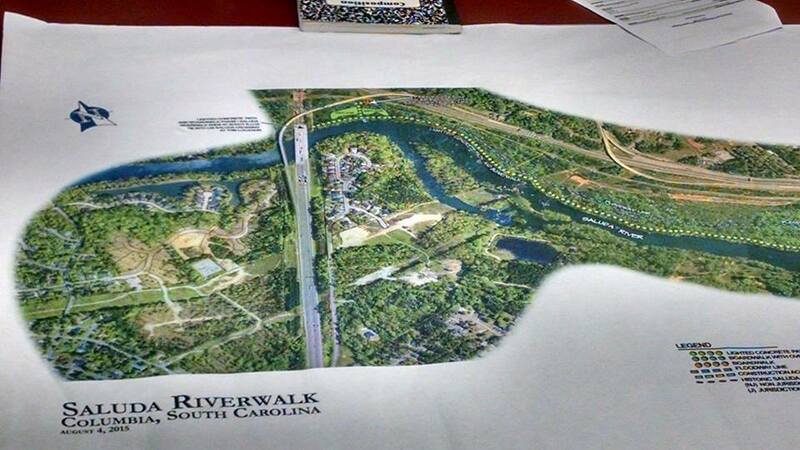 It will connect with Columbia’s Riverwalk trail. Phase Two has begun, and will include selecting materials to construct the bridge, said B.J. Unthank, chairman of the West Columbia City Council. Council met on Sept. 22, with engineers. At that meeting planners announced that Phase One, which included hydrology studies and cost analysis, confirmed that the walking and biking bridge can be built within budget. Unthank said the cost is $1 million-to-$1.5 million. Most of the money to build it is in federal funds that have already been obtained. “This is great. It’s a leap forward,”said Mike Dawson, Chief Executive Officer at The River Alliance. “We’re really excited about it,” Unthank said. Phase One of the plan took about a year. Unthank said Phase Two would probably take about six months. He said once the type of materials used to construct the bridge are identified, bids could be accepted from contractors to build it. 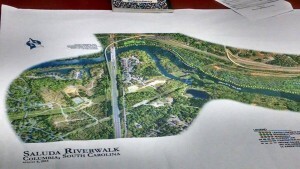 Dawson said the section of Riverwalk to be connected in Columbia is being funded by the Richland County penny sales tax. He said the part of trial in Columbia that would connect is scheduled to be completed in fall of 2016.